PORTLAND, OR – Professional racers know what works and what doesn’t. So, when PIAA engineers asked leading competitors what qualities they’d like to see in the perfect off-road race lamp, they listened and went about creating it. The result: the new PIAA 520 ATP Lamp. The PIAA 520 ATP utilizes PIAA’s proprietary All-Terrain Pattern technology, which delivers a beam with the ideal combination of height, width and distance. Powering this breakthrough is a PIAA Xtreme White 12V-H3 85W halogen bulb that illuminates at the equivalent brightness of a standard 135W bulb. 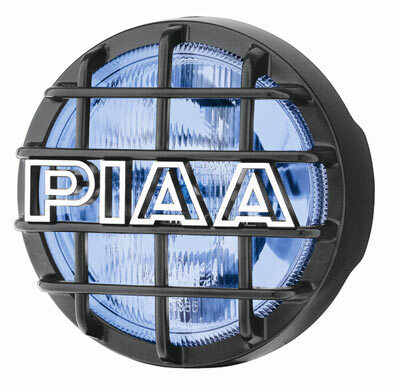 The secret to PIAA’s ATP pattern is a computer-designed reflector that fires out the light in a unique, oval 40-degree pattern – just what professional off-road racers asked to see. Durability is built into the 520 ATP as well. It features a black, stamped steel housing and tough glass lens, protected by black mesh covers. And it’s a compact package: 6-1/4 inches in diameter and only 2-11/16 inches deep. A swivel mounting bolt offers 90-degrees of adjustment range. PIAA has been the acknowledged leader in innovative automotive products since its founding in 1963. PIAA products, created in PIAA's Technical Design Center in Japan, are known for their visionary design, inspired engineering and quality components. PIAA Corporation, USA is located at 3004 NE 181st Ave., Portland, OR 97230. For more information, contact PIAA at 503-489-6666 or visit the PIAA website at www.piaa.com.